~ SERVO &ndash; top selling lubricant brand from IndianOil, India&rsquo;s largest commercial oil company, to be associated as &nbsp;&lsquo;Powered By&rsquo; sponsor for the only ATP World Tour event in the country ~ &nbsp; Organisers of Tata Open Maharashtra today announced Indian Oil Corporation Ltd. coming on board as a valued partner for the 2nd edition of Tata Open Maharashtra to be played at the Mhalunge Balewadi Stadium, Pune.&nbsp; &nbsp; SERVO Lubricants from IndianOil, India&rsquo;s flagship Maharatna national oil company will become &lsquo;Powered By&rsquo; sponsor for the only ATP World Tour event that will see five top-50 players in the world among a slew of other international stars. The state-owned energy giant is the top Fortune 500 company of India with interests in oil, gas, petrochemicals and alternative energy sources. 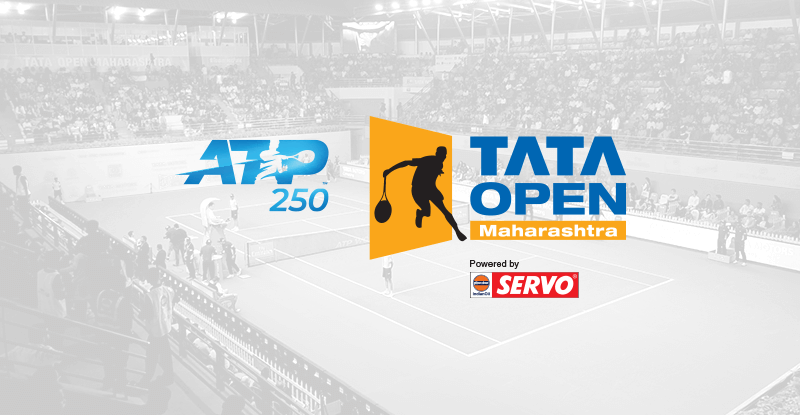 &ldquo;It is a matter of great pride for us having SERVO Lubricants as &lsquo;Powered By&rsquo; sponsor for Tata Open Maharashtra. They have been very actively supporting India&rsquo;s sporting movement by supporting athletes from multiple sports including Rohan Bopanna, Divij Sharan, R Ramkumar in Tennis. We thank them for sharing our vision and believing in our endeavour to make this event world-class,&rdquo; said Prashant Sutar, Tournament Director, Tata Open Maharashtra.&nbsp; &ldquo;We are delighted to partner with Tata Open Maharashtra in the upcoming edition. As a responsible Corporate, IndianOil believes in encouraging sporting culture that is an important tool for development of future leaders and nation-building. We are excited to see how this event is shaping up as such tournaments give a chance to our players to rub shoulders with top international players, helping our players in honing their skills,&rdquo; said Subodh Dakwale, Executive Director (Corporate Communications &amp; Branding), Indian Oil Corporation Ltd. The tournament will see five players from top-50 including defending champion and World No. 30 Gilles Simon from France alongside World No. 6 Kevin Anderson from South Africa, World No. 7 Marin Cilic from Croatia, World No. 25 Hyeon Chung from Korea and World No. 45 Malek Jaziri from Tunisia. Players from over 15 countries including Moldova, Serbia, South Africa, Spain, Korea, Croatia, Belarus, Russia, Latvia, Poland, Uzbekistan, Belgium, Tunisia, USA, France, Czech Republic will descend in Pune for the 2019 season opener.